Apartment on upper floor with external steps up. Open plan Kitchen/dining area with door to front, sea facing, balcony. Two air-conditioned bedrooms (one double, one twin). Bathroom with shower. The living room has dining area. There are sea views from the living room. The kitchen features: full oven, cooking hob, fridge/freezer, washing machine, filter coffee machine, toaster and kettle. Limani can sleep up to 4 people. We have stayed at Limani 3 times now. On our second visit in 2016 we were delighted to see the apartment had been renovated. However on out return this year, the decor is already starting to look a little rough around the edges with chipped wall paint a shower that floods the bathroom when used. Limani is a lovely little apartment and it just needs a little refresh for next years customers. Thanks. Another excellent holiday in Limani - "small but perfectly formed as they say! We just love the location, its bright & cheery and provides everything we need! Thank you!! 3rd visit to this lovely apartment. Very clean an ideally situated with wonderful views over the harbour. We stayed in the Limani apartment for 7 nights on our honeymoon. 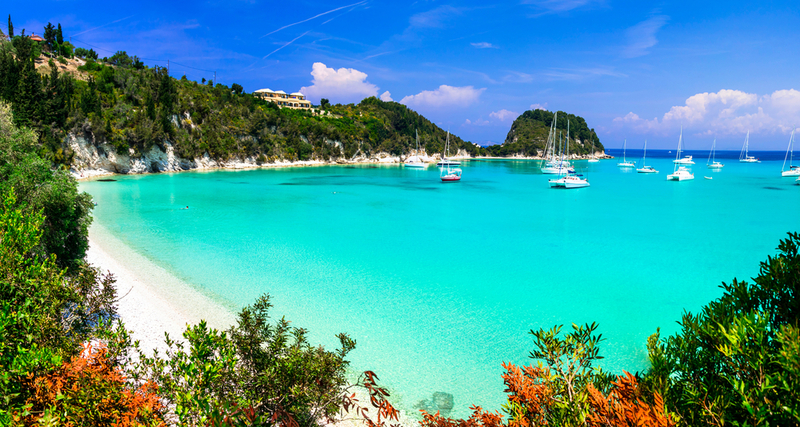 Paxos was recommended for its crystal clear waters, calm and slow pace, great food and walks/hikes around the island. WE WERE NOT DISAPPOINTED! What a fantastic holiday! The apartment was spotless. Incredibly clean and it seems fairly recently refurbished. The bed was very comfortable and the air-conditioning worked well. The view was stunning and being right in the center of Loggos was perfect for our holiday. The island bus stopped right outside and bars/taverners are literally a stones throw away. All local tavernas and bars are wonderful. The apartment is equipped with everything you could need. The island is very quiet and calm so we loved being able to sit on our balcony and 'people watch'! Communication was good between Richard and we met the actual owner of the apartment as he also owns a local taverna (the one on the next beach). A great local shop (selling fresh Greek yogurt) is only 3 minutes walk away. Boat hire, canoe hire and other activities are 2 mins away. An absolutely fab holiday and this apartment was one of the most comfortable villas we have stayed in! Another brilliant holiday- thanks for all your help. We were most impressed with everything - would definitely recommend to friends - loved the situation at the harbour front. Transfer arrangements were excellent and it was particularly helpful to get notice of the change of ferry time. Thank you - it was a superb holiday. Having stayed previously in limani last year we loved the way it has been updated this year. We also had good support from the Agni Travel team whilst there. We will definitely return. Excellent - we will be coming back to Loggos. Lovely property with a great outlook. Could sit on the veranda all day and people watch. 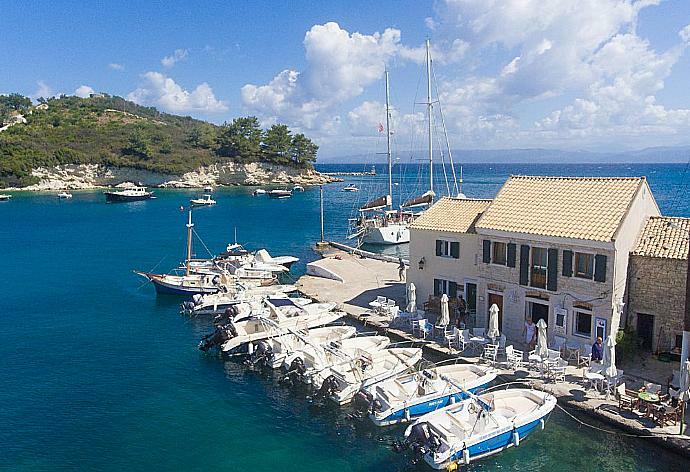 Loggos is a lovely place and we are glad we picked that resort to stay in. Web site description was very accurate. Our third holiday with Agni Travel and everything was wonderful. Will definitely be back. Overall an excellent holiday, the Agni Travel team were very efficient and helpful. 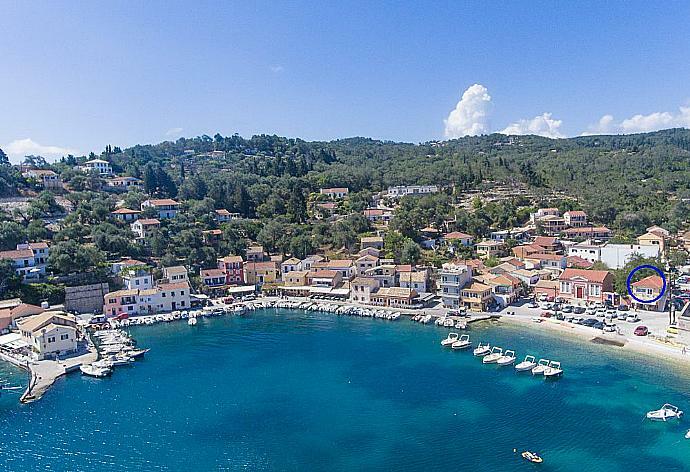 Looking forward to our next visit to Paxos. it was a good holiday made even better by the friendliness of people in Loggos.